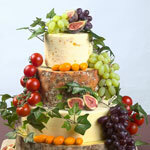 Our cheese celebration cakes are for the less sweet-toothed. 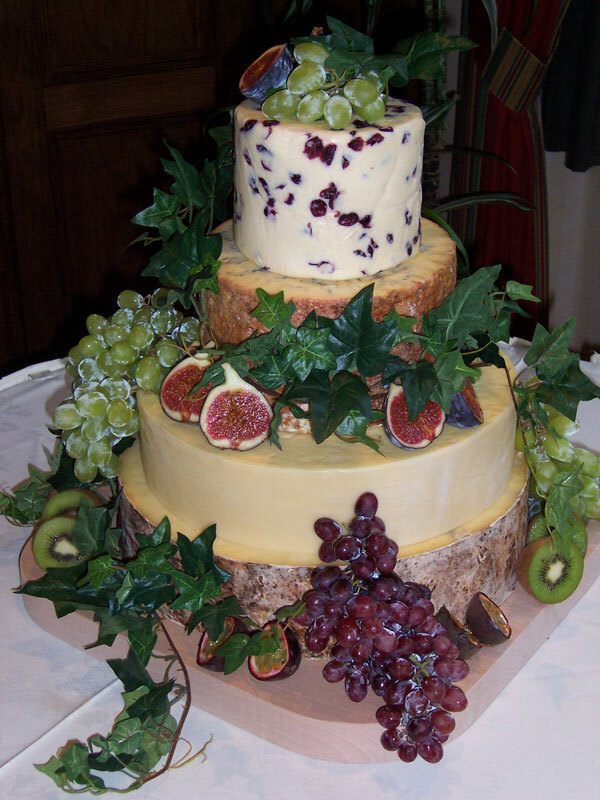 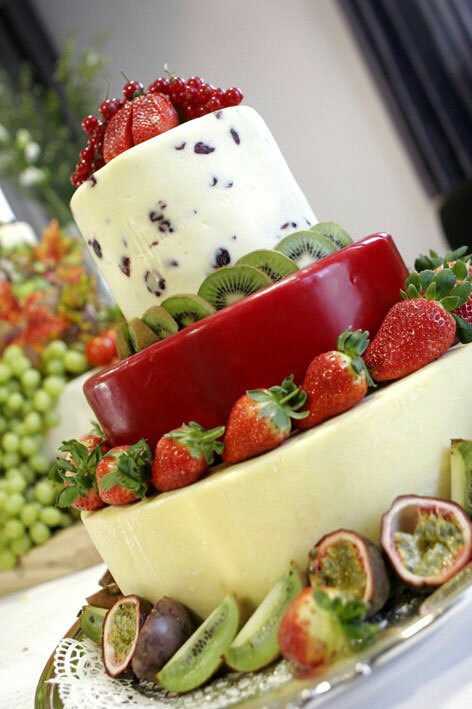 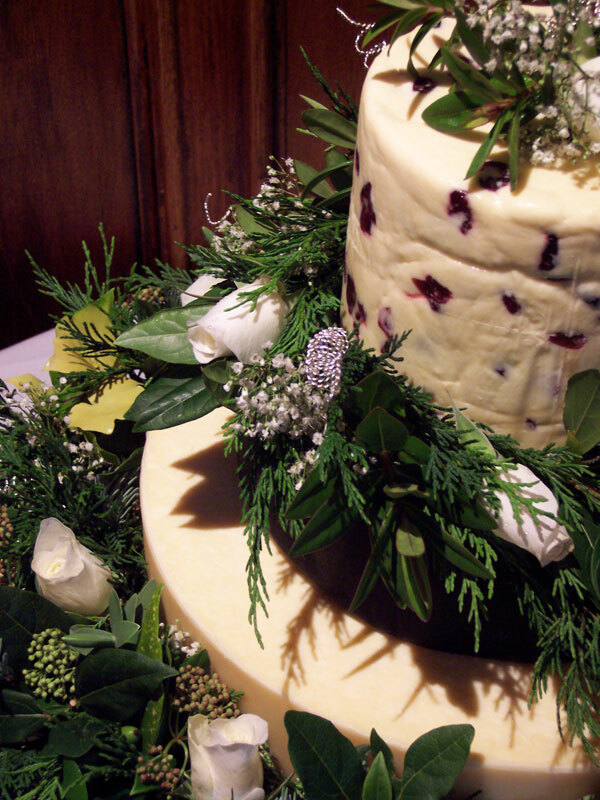 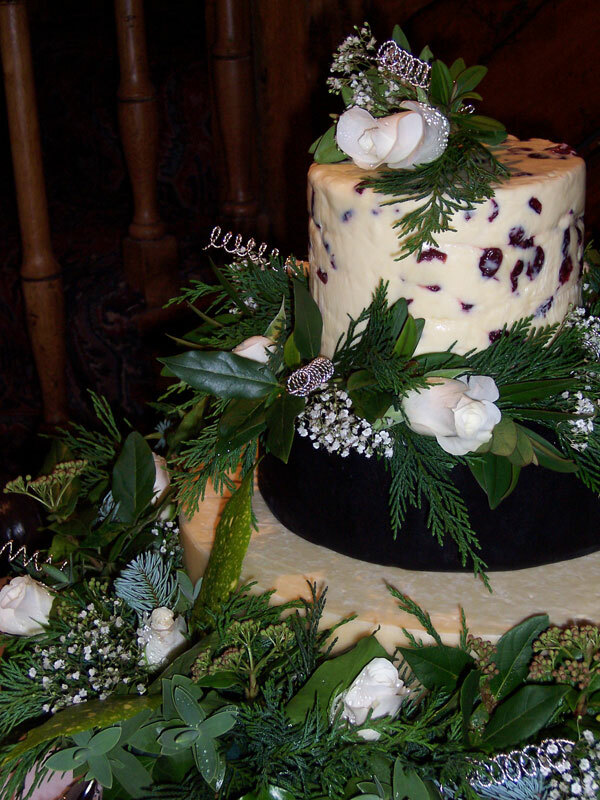 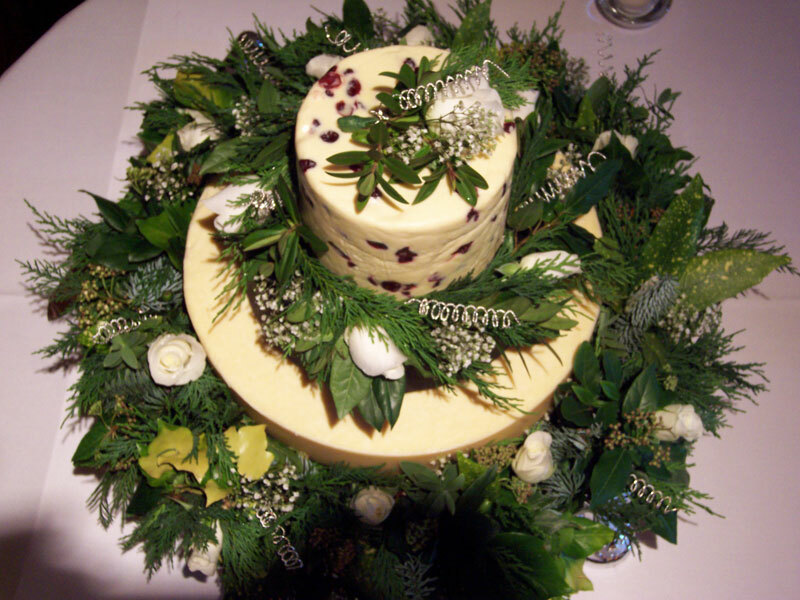 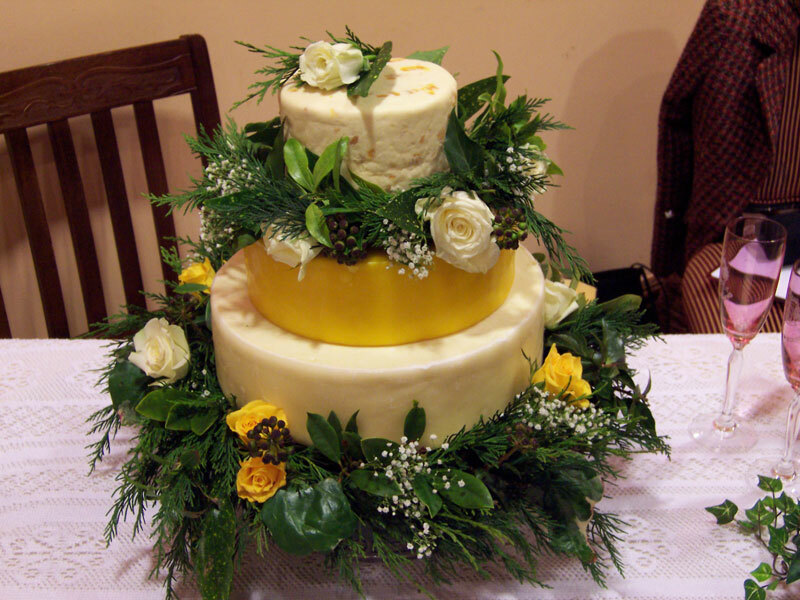 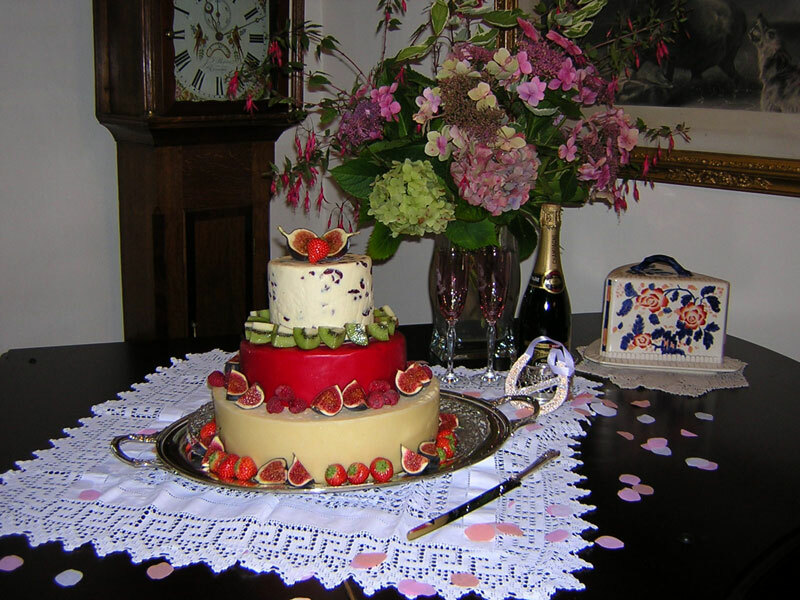 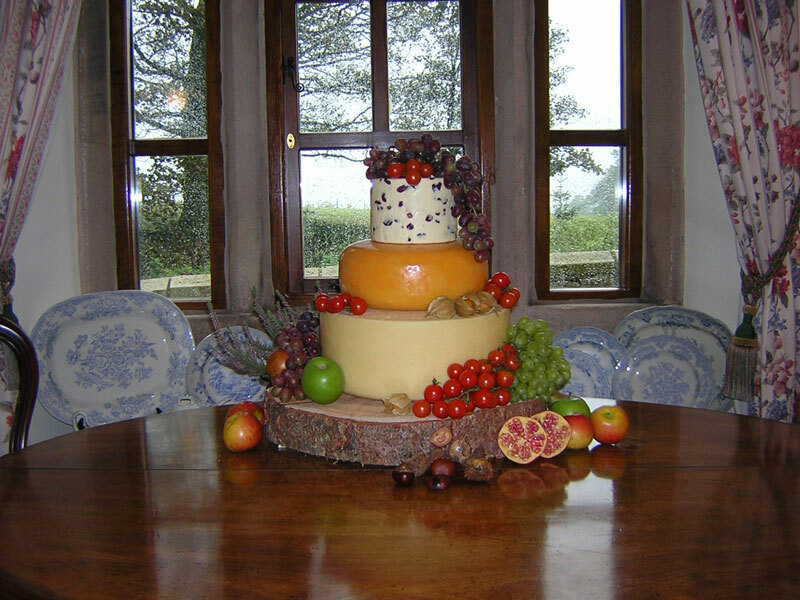 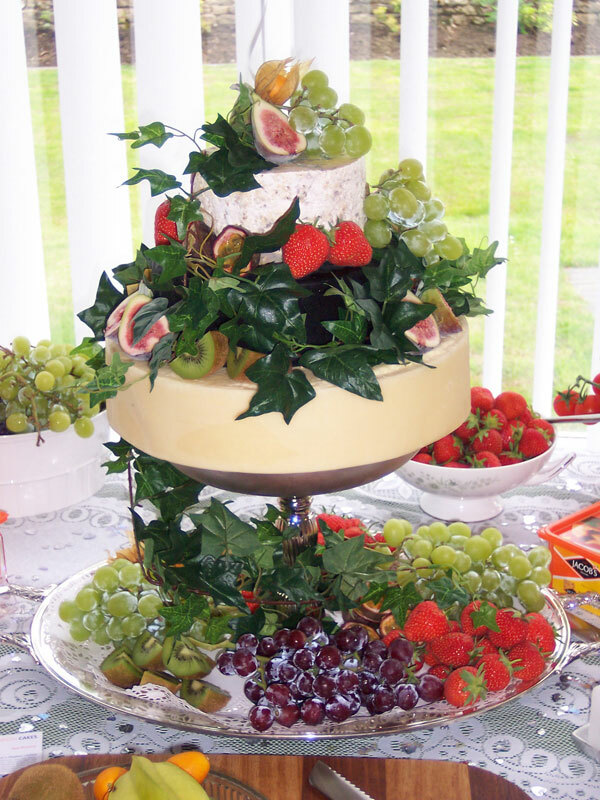 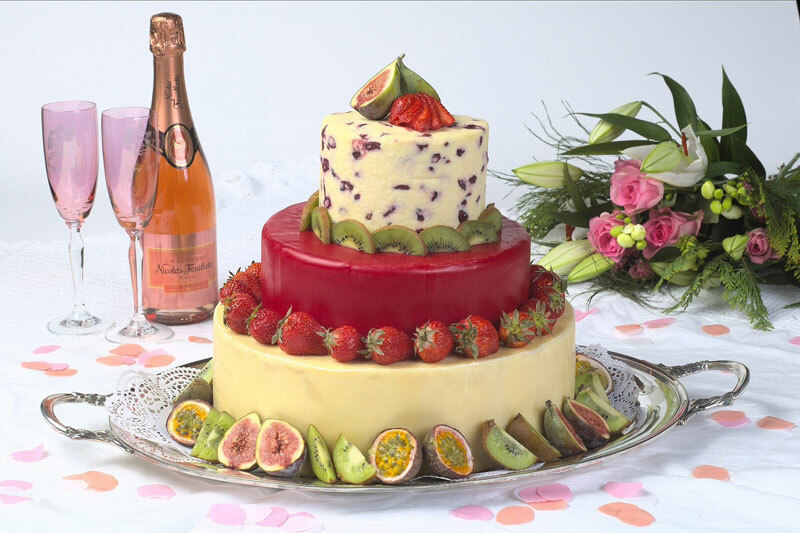 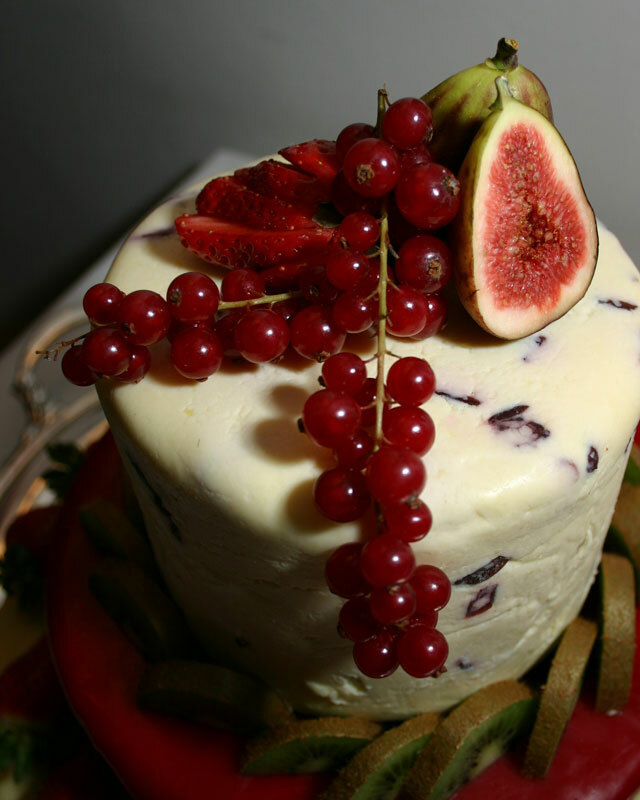 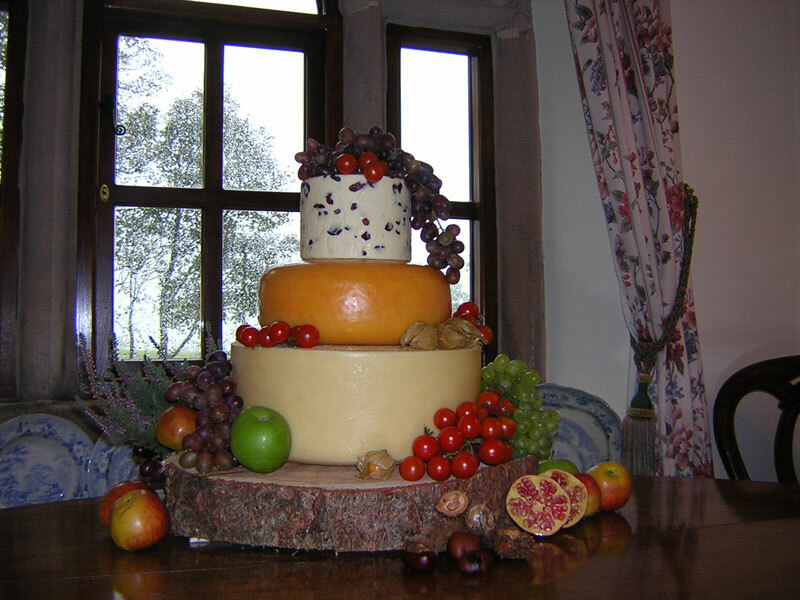 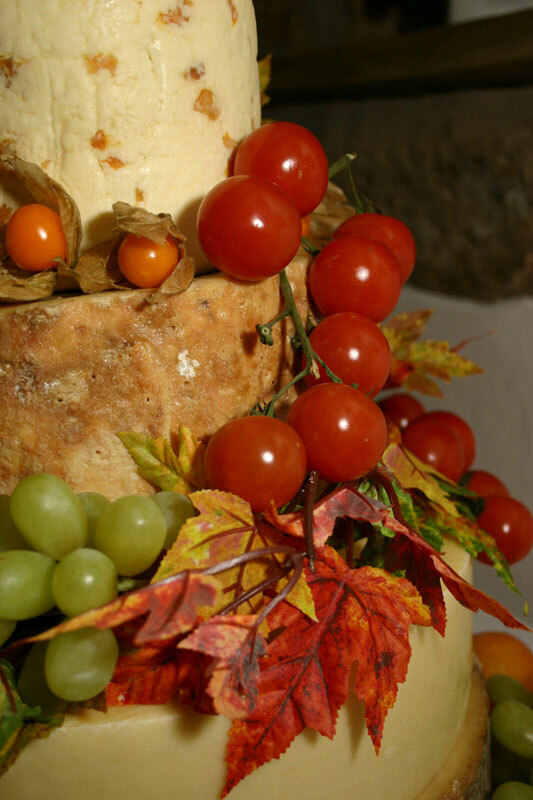 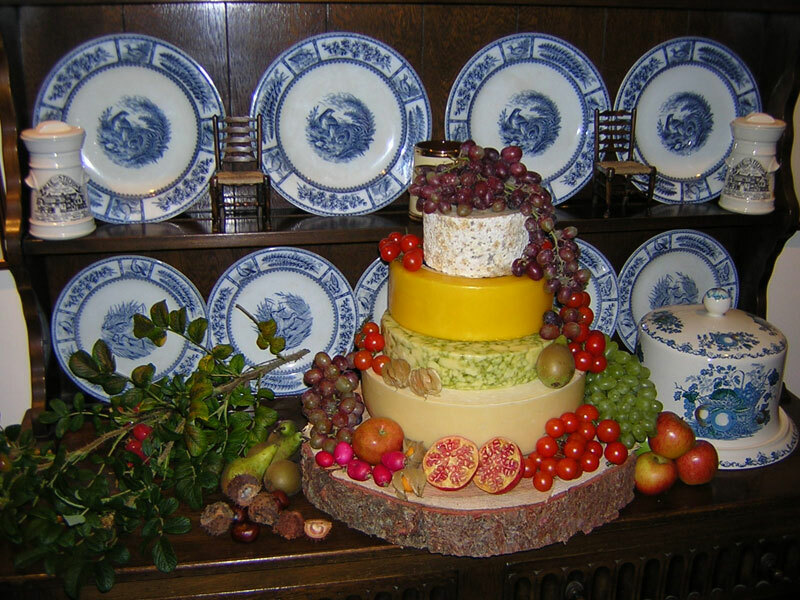 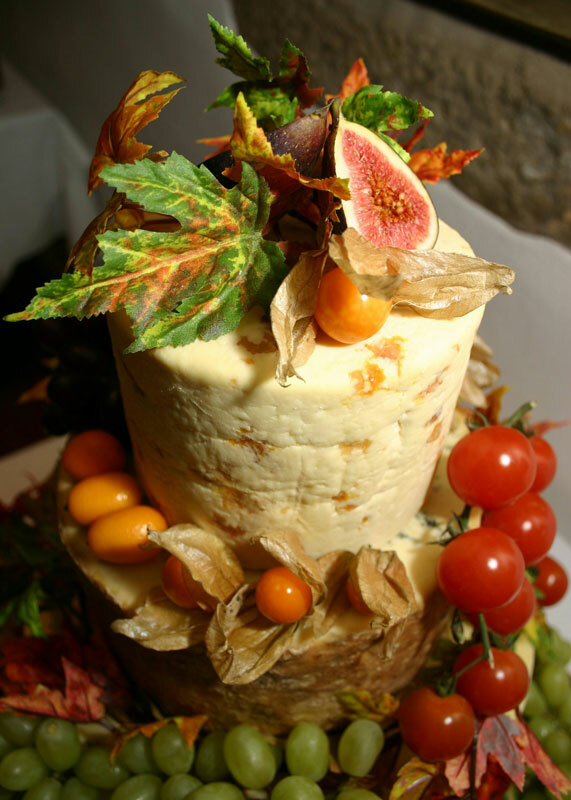 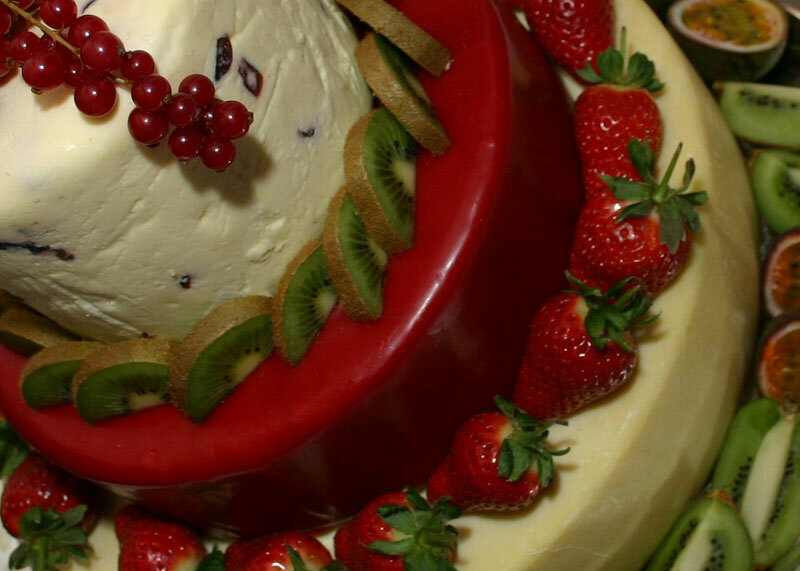 They are made entirely of the finest quality cheese and then decorated with fresh fruits and flowers to stand as magnificent centrepieces, rivalling any traditional iced fruitcake. 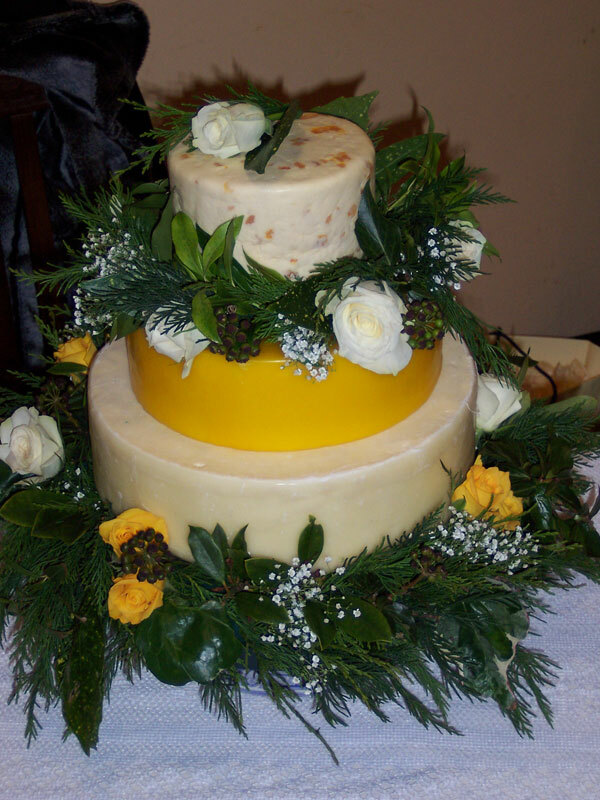 Our cheese celebration cakes can be created to your design in that you choose the number of tiers and decide how you want your cake dressed. 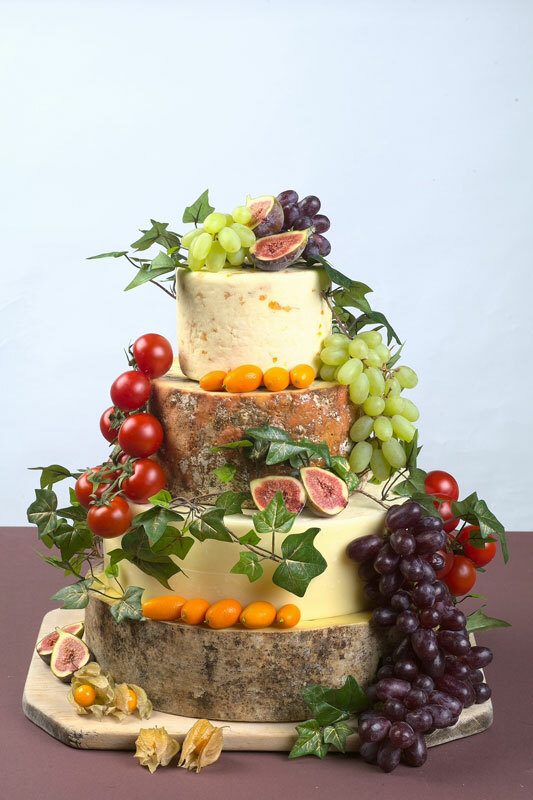 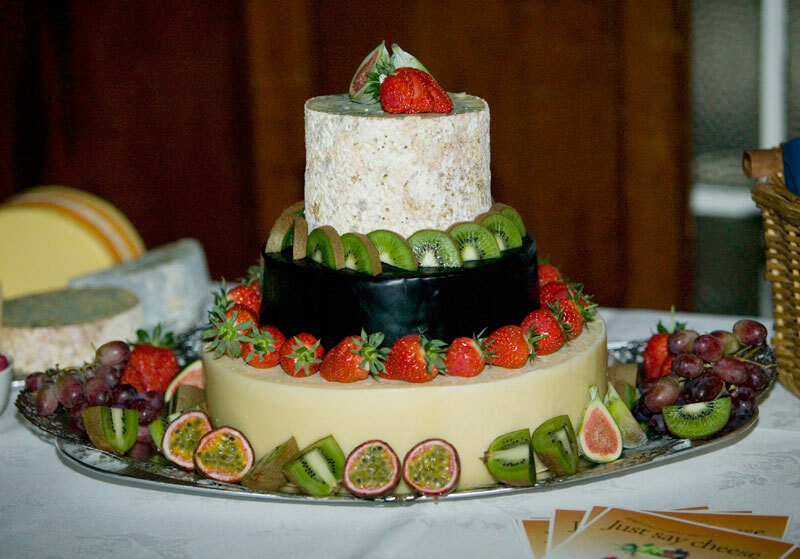 Whether you are planning a Celtic wedding, a Lancashire knees-up or a welcome party for Australian cousins, we can help you select cheeses from our worldwide cheese menu that will add the right flavour to your celebration and co-ordinate perfectly with any colour scheme you may have chosen. 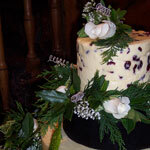 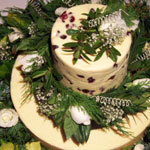 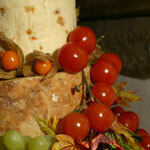 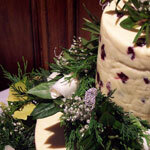 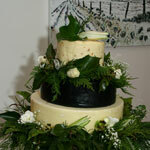 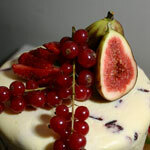 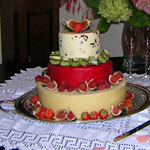 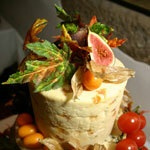 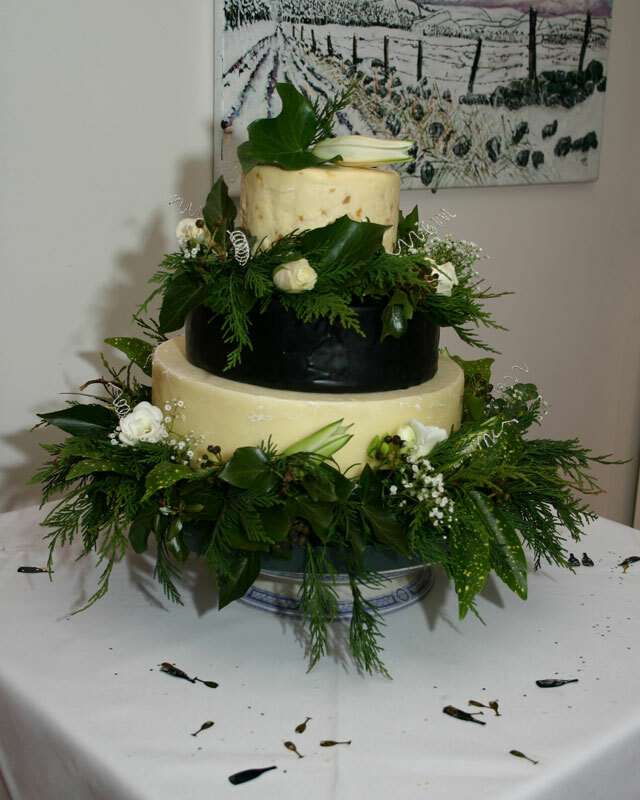 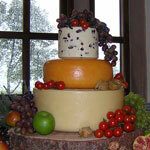 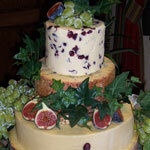 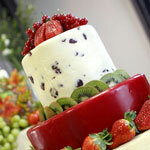 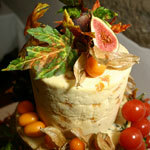 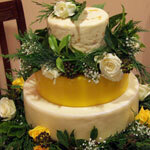 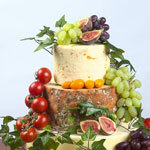 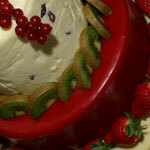 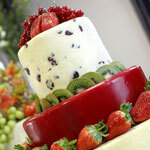 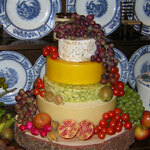 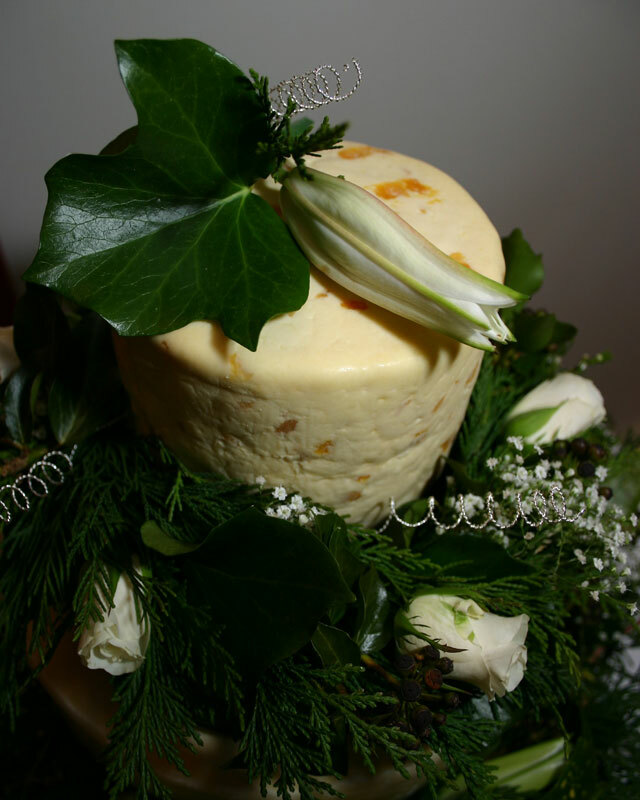 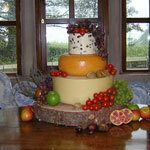 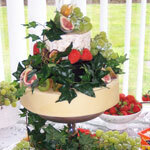 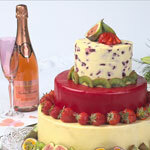 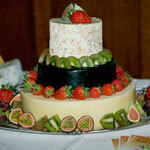 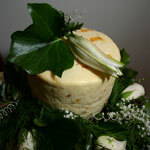 We can deliver nationwide, with our cheese celebration cake prices starting from just £80. 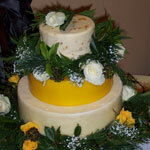 Contact us using our contact page.